Turf + contact + head = ouch. Very ouch. There still hasn't been anything officially said about it, but even days later, I'm still bothered by the incident with Yamil Asad in the first half of the Timbers - Atlanta United match. 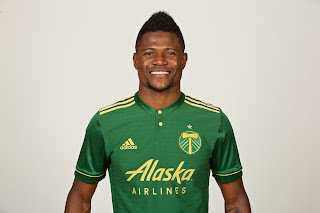 In the 11th minute, Timbers defender Alvas Powell was trying to clear a ball from midpitch and struck it with good force while Asad was trying to close him down. Asad took the full brunt of the ball and fell down like a felled tree and lay motionless for several seconds while medical staff came out to to assist. The replay appeared to show Asad lose consciousness for a brief moment, but after a quick review, Asad was able to rejoin the match after a few minutes. Per Oregonlive.com, the Timbers' team doctor was assisting Atlanta's medical staff, and Dr. Jonathan Greenleaf was so upset at what transpired that he continued a heated discussion with the fourth official for several minutes. Center Official Alan Kelly even stopped play to ascertain what happened, but that didn't stop Asad from playing the full 90 minutes. In Kelly's comments after the match, he indicated that they allowed Asad to rejoin once the fourth official confirmed he had been medically cleared by Atlanta. However, the Timbers' team doctor seemed to be very upset at their conclusion. There were also several reports that indicated that Asad insisted he was fine and determined to continue playing, and as we've seen in sports many times before, sometimes players are not the best judges for their safety - putting toughing it out in 1 match over looking at long term health. For those that know, I was struck a few weeks ago during practice for Old Growth FC by a shoulder, and the contact put me down on the turf with my head bouncing off of it. While not completely similar, I was happy that I had a coach and several medical trained personnel look at the situation and my injuries and made it clear there was no way I could continue. 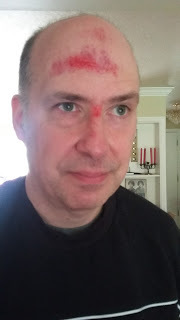 Granted, I had a large gash on my forehead which likely precluded my further precipitation anyway, which Asad didn't have, but I also never lost consciousness. I did discover how distasteful turf pellets can be, as they are not part of a balanced diet, nor should they ever be. Please, Diego, can we see more of this? The facts about the incident are still not completely clear - either Atlanta did a very quick assessment and cleared him without doing a full in-depth battery of tests, which drew the concern of Portland's medical staff, Atlanta did complete the full protocol and Portland's staff felt something was missed, or Asad insisted on continuing and Atlanta did enough checking to ensure that was possible and cleared it. The simple fact that there is so much confusion about what happened and there wasn't agreement to the result is troubling to a league that has put player safety among its big priorities. Suffice to say, if there is league rules and procedures about how a concussion test should be administered, I would expect the medical personnel to have the time and freedom to do a full analysis and make a decision with the player's long term benefit in mind. I don't think any coach in MLS is going to intentionally push a player to rejoin a match against a medical decision, but a team doctor should be able to pull a player they feel could hurt themselves more by continuing to play. The fact that this is even being questioned is concerning, especially in light of another on the field collision where 2 players for FC Dallas knocked heads and were allowed to continue. Protocols demand consistency, and while I get that this program is still being sorted out, the league also made improved officiating a priority in 2017 as well. Come to think of it, that was mentioned in 2016...and 2015....and so on....and so on. 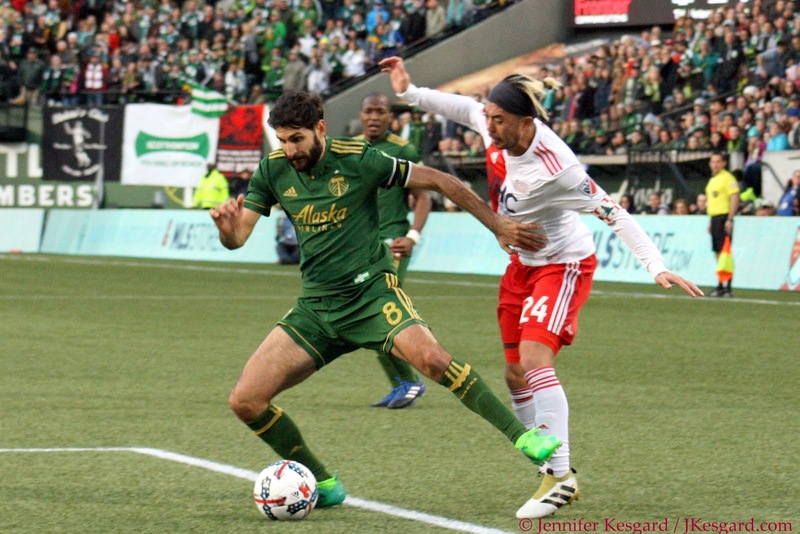 I'm really glad to see Diego Valeri's comments about wanting the Timbers to dictate more tempo and control more possession, especially after the disturbing possession numbers posted versus Atlanta United. 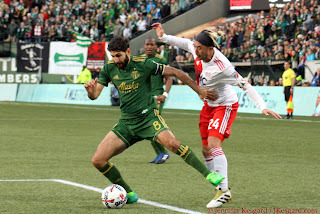 We have heard the mantra of the Timbers in the Caleb Porter era as possession with purpose, although the team has certainly adjusted their attack in various matches and stretches depending upon personnel availability and opponent, but I don't think 30 percent possession is even close to the ideal in any situation. I get it, it's a number and soccer has one of those completely annoying qualities where numbers often don't match the reality of a result. However, this is the second consecutive match where I thought the Timbers' passive approach cost them dearly. I can understand some concern with Atlanta, since they have as much speed and attacking options as the Timbers so being slightly more conservative and playing further back makes sense, but San Jose isn't even in the same conversation with attacking as either Portland or Atlanta. The Earthquakes played a very unlike them match a few weeks ago where they used attacking and movement to break down the Timbers, as many experts remarked. Portland played into that, however, with very passive play, and I understand the club didn't have Valeri or Darlington Nagbe available. 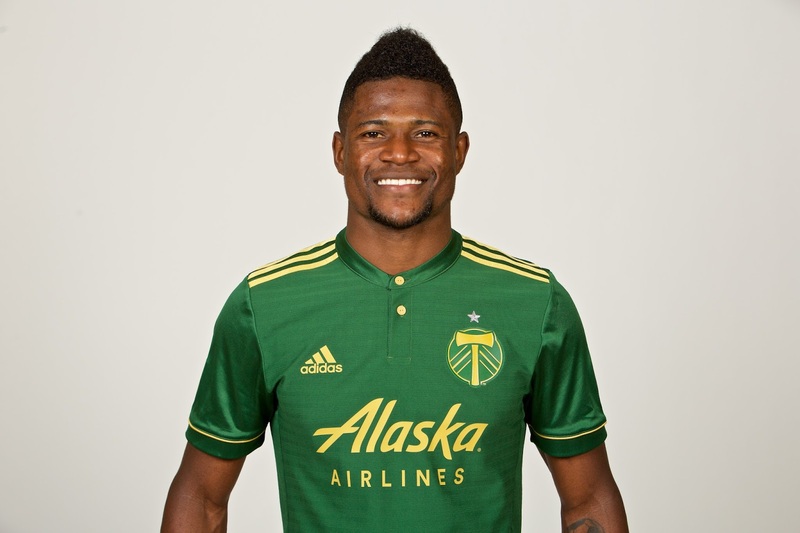 Honestly, I want this team to play Timbers style soccer regardless of who is on the pitch, and that is very difficult if the team lacks a coordinator or playmaker, but Porter has said this roster has options. With players leaving for international duty, potential injury or just rotation in general, it's imperative they figure this out soon. Dairon - I love you, but wow, Sunday wasn't good for you. Evaluations - Everyone wearing Timbers green would get a 5 on the afternoon, considering that they have good efforts at points in the attack but had a few mistakes to even things out. I will call out a few players who deserve differing scores. Alvas Powell - 3. Seriously, I have no idea what he was doing out there at times. Passes to nobody in particular, late support on certain runs, he just seemed to be playing a different game. He did have several good clearances to stop threats, but there was so much more he could have done, but didn't. Roy Miller - 7. He's played exceptionally well this season in the rotation, and his size and presence were a big asset against Atlanta. Based on this effort, I can see this team using a Ridgewell - Miller center back duo and not feel like it's a problem. Diego Valeri - 3. Little to no influence on the match. I get that he's trying to work back to fitness and timing and Atlanta made it a priority to defend him, but I was hoping to see more from the Maestro. Sebastian Blanco - 6. Always has some bite to his play, and I thought he actually mixed it up with Atlanta quite a lot and it was appreciated. You can either take the physical approach or the speed approach to counter speed, and Blanco used both effectively. Fanendo Adi - 4. I thought he needed to be more patient on several runs to allow them to open up, but he insisted upon trying to draw the foul with physical contact. Honestly, Alan Kelly is an official that doesn't call contact consistently, and Adi was often whistled. He's a huge player and I don't think gets the benefit of certain calls, but at the same point, you have to be effective in your influence and Adi wasn't effective enough in my opinion. Dairon Asprilla - 2. If he only had a consistent first touch, the Timbers likely could have spent far more time attacking. I lost track at how many times he dribbled the ball away or overran a pass. I know he is skillful, but this match really didn't display it at all.